Our special guest musician and speaker is Jerry Maurer from Lakewood, CO.
Jerry has been a musician for over 60 years, performing vocals and guitar. He sings Christian bluegrass, country western and hymns. Jerry Maurer has been in the pastoral ministry for over 40 years at McCarrol Bible Church in Denver, CO and First Baptist Church of Lakewood, CO. 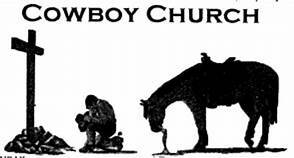 He has been married for 51 years, wife Diane, has 3 grown children Ron who is a pastor in Montana, Ruth a missionary in Ecuador and Ross a computer technician in Arvada, CO.
Jerry is excited to come to preach and perform at Cowboy Church.